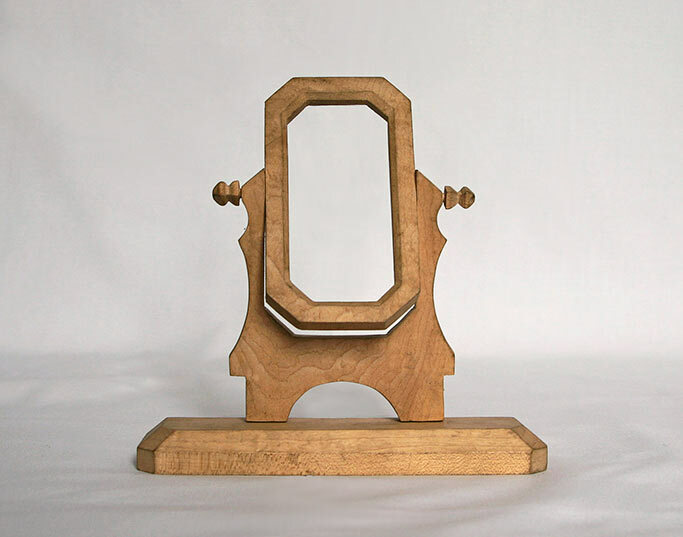 Wooden mirror/picture frame, unstained, made in Camp Petawawa,1940-1942. The frame is constructed entirely of wood, with 3 main parts: the pivoting frame, the frame support, and the base. The frame itself is an elongated octagon (4.5 inches high, 2.6 inches wide). The base is bevelled and measures 7 inches long, 1.6 inches wide, and .9 inches high.